I'm a photographer living in the heart of Luxembourg, loving traveling, hiking, tech stuff and everything that inspires me. Also, I'm the host of ThePhotonauts. If you want to know more about me, visit my portfolio website below, where you can also order prints and stuff! Don't forget to check out my channels on Instagram, Twitter, Facebook and of course YouTube! 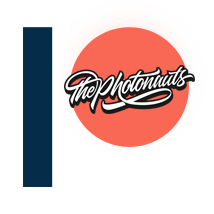 If you like ThePhotonauts and would want to donate a little something to help me out, go here, or support me monthly on Patreon!